In the competitive world of family vehicles, the minivan is the clear winner. There are a few reasons for owning one, whether its to bring you children to soccer practice or to act as the neighborhood leader of the carpool. Whatever the reason, minivans are for families of all shapes and sizes making them the sought after vehicle of choice. The 2017 Toyota Sienna however, acts as the king of the minivans, coming second to none! Equipped with a 8-speed automatic transmission and 3.5-liter V6 engine, the performance for this minivan is atop its class. Sure the Sienna isn’t jam packed with cutting-edge technology or style, but it makes up for that with a few Sienna class exclusive add-ons that no other minivan can offer. When you are shopping for minivans the deal breaker could be the option of having all-wheel drive or not. 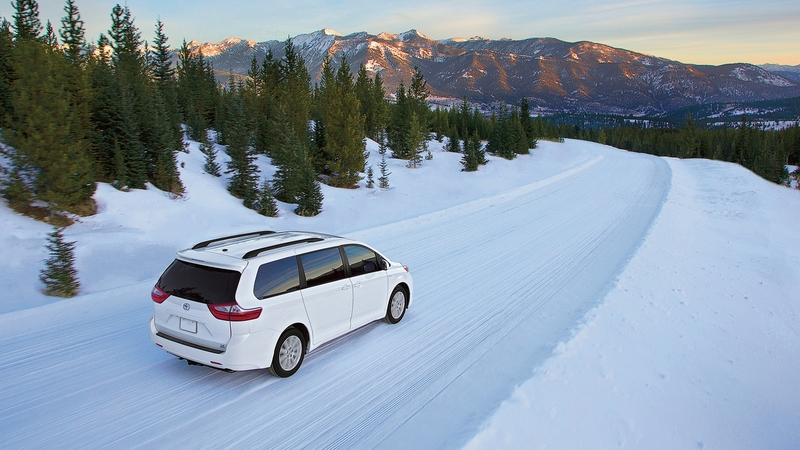 If you live in an area that experiences slick road conditions from rain or snow and all-wheel drive is a must, then the Sienna is a no-brainier. It is the only minivan that offers all-wheel drive! All-wheel drive isn’t the only trick up the Sienna’s sleeve. For those who need assistance when entering or exiting a vehicle, the Sienna offers a power operated automated access seat that lowers the second-row passenger seat down to street level. Along with the capability and quality of the Sienna comes comfort. The second row offers more than enough leg room for its passengers as well as enough space to make it very easy and accessible to install child seats. Offered in 7 and 8 seat configurations the Sienna is the must own minivan of the year, an automated entrance and exit access feature as well as enough room and comfort for the whole family, and even a few extra friends. Make the Sienna your choice. Request your exclusive U.S. Military Pricing on the 2017 Toyota Sienna and remaining 2017 Toyota Inventory.